Servicing and the importance of maintaining your vehicle! Modern cars can be extremely complicated and people who are not trained mechanics cannot possibly be expected to know everything there is to know about the inner workings of their vehicle. Trying to service your own car could result in you causing damage to your engine, which could be extremely dangerous or considerably expensive to fix. Services are crucial to the safety of your vehicle and the people inside it. They will pick up on problems before things start to go wrong. It could be incredibly dangerous if you ended up with a vital part of your engine breaking while you are driving at 70 mph on the motorway. Services allow you to find out which parts of your car are wearing out before they do break in the safe environment of the workshop. My car has just been to MOT so it doesn’t need a service!!! The first most important thing to bear in mind when you are thinking about taking your car in for a service is that it is not the same as an MOT. Just because you have recently taken your car in to have its MOT test does not mean that you no longer need to take it in for a service. The MOT simply tests that your car is safe enough to be driven on the road. It will not flag up any potential problems and will not let you know if there are parts of your car which will need to be replaced soon. MOTs only tend to flag up the problem when it already needs to be fixed. Services can help spot problems before they arise, which will give you time to think about how best to approach and finance the issue. Although servicing your car will cost money, it could actually end up saving you money in the long run. Un-serviced cars tend to have a much higher fuel consumption rate, as they are not running at their most efficient. Even seemingly minor issues, like needing an oil change, can actually have a big impact on the amount of petrol that it takes to run your car. Services will pick up on these details and will rectify them, making the whole car much more efficient and hopefully saving you a lot of money in unnecessary fuel. Services are seen as unnecessary by some, as checking tyre pressure and levels of engine oil and screen wash are things which most people can do at home, without having to shell out lots of money to hire a mechanic to do it for them. Whilst this is true, there are also many parts of a car service which cannot be carried out at home and which require the skills, expertise and tools which a mechanic has to offer. Why use an independent Garage to service my vehicle. Many people ask this question. Does buying a new car mean I can only go to the dealer to have my vehicle serviced to maintain my warranty? The short answer is no! You can save time and money by going to an independent garage to have your car service carried out without fear of voiding your new car warranty. European regulations that govern after-sales servicing of new vehicles was changed in October of 2003. You are no longer obligated to return to a franchise dealer during the warranty period for your servicing. However, you must stick to the manufacturer’s recommended schedule of servicing and use their approved parts. You also need to keep records that prove you have stayed within their requirements for warranty. We are a quality used car dealer with a wide range of cars to suit all budgets. We put customer care at the centre of everything we do, endeavouring to provide an excellent service at all times. Our standards have built our reputation and we are proud that our customers recommend us, trust us and come back to us when they want another car. We are passionate about delivering a high quality service and building trust with our customers. 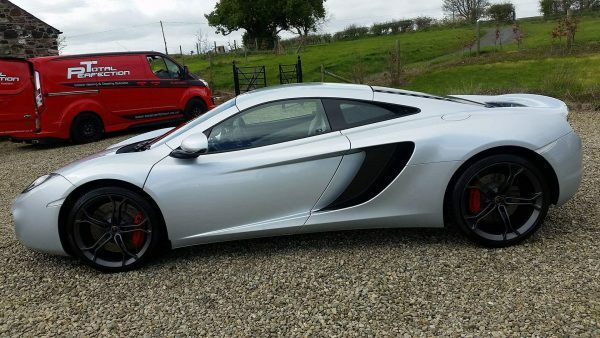 The cars we offer are excellent value for money and prepared to a very high standard. Our General Manager Philip Glennie oversees day to day running of the business but also controls our vehicle sales dept and vehicle sourcing. So if we don’t have what you are looking for just give him a call with your requirements and he will do is best the vehicle that you are searching for within budget. 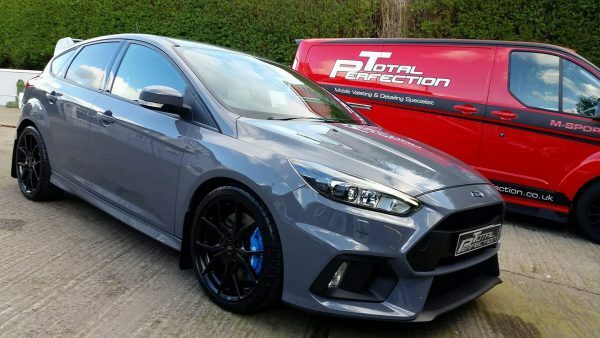 As most people know we gave up the Ford Franchise in March 2008, but nothing has changed we still are running our busy workshop with our trained technicians. We believe we are competitive with our pricing giving you a full dealership service with small garage pricing if you require a service or mechanical repair on any type of vehicle we are here to help. Joe Small our Service Manager will be here to help or answer any queries you may have. Adam H Erwin are affiliated with the Ford Blue Oval Club, and can supply service, mechanical or accessory parts to you over the counter. Most parts are available the same day, however if we are not carrying it in stock, it can be generally ordered for the following day getting you back on the road quickly again. Joe Small is the man to talk to if you have any queries. In the first instalment of our new blog series we tackle one of the most important things for any hearse or limousine owner- maintenance. Specifically; paint maintenance. It pays to look after your vehicle, for both everyday funerals and for resale, and whether it’s a Mercedes, Vauxhall or a Ford, a well-kept hearse shows a professional front for your business. That’s why Fearghas Quinn Hearse and Limousine have invited Mark Smiley, of Total Perfection Valeting and Detailing specialists, to write this guide. 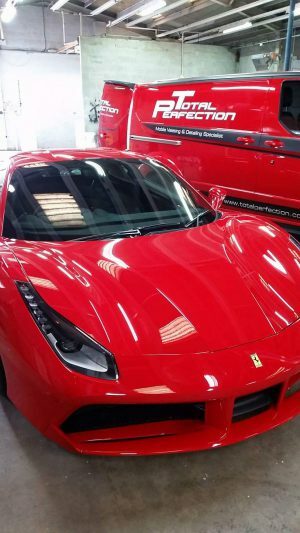 Mark is a world-renowned expert in the detailing field with certification from Rupes and vast experience with TV supercars, professional fleets and funeral vehicles to name but a few. And we can think of no-one better to advise the industry on maintaining our hearses and limousines. Over to you Total Perfection…..
Wash your car on a regular basis at least twice per month. Washing your car will remove salt, dirt, and other debris from the surface of your car; all of which can cause permanent stains, rusting, and corrosion if not removed. • Wash the areas underneath your car to remove excess dirt and salt; especially during cold months when salt has been placed on roads to melt snow. If salt is left on your car, it will cause those sections to corrode. • To wash the sections underneath your car, use a pressure-washing hose at a coin-operated car wash, or drive through an automatic car wash that will shoot jets of water under your car. • Wash or spray the insides of your car’s wheel arches and underneath the bumper area to remove any dirt or salt hidden from view. Use water to remove bird droppings from the surface of your car. Bird droppings contain abrasive and acidic properties that may permanently stain your car if they are not removed immediately. Wax your car once every 3 or 4 months. Waxing will help protect the paint on your car and prevent corrosion by blocking water that may seep into scratches and chips on your car’s surface. • Purchase a non-abrasive car wax from an automotive store and apply it to your car’s surface using a large soft sponge or a soft cloth. 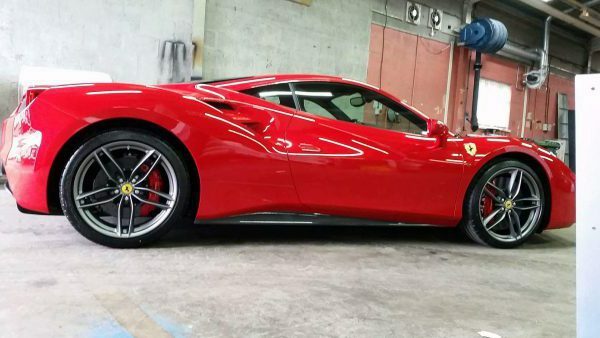 • Apply the wax only to the painted sections of your car. If you apply wax to the rubber or plastic parts of your car, it may cause those parts to stain permanently. • If you accidentally apply wax to the rubber or plastic parts of your car, remove it immediately using a commercial glass cleaning product. • Buff the car with a clean, soft cloth until all the wax has been removed from the surface of your car. Apply a rustproofing agent to your car. Rustproofing your car is ideal if you live in a humid climate or if your car comes into contact with salt in the air or on the roads. A rustproofing product will add extra protection to the bodywork of your car and help prevent corrosion. • Purchase a commercial rustproofing agent from any automotive repair store and apply it to your car following the directions provided by the product’s manufacturer. Apply paint to small chips and deep scratches on your car. This will prevent the affected areas of your bodywork from corroding. • Obtain touch-up paint from your car’s manufacturer or dealer in the exact color of your car. If you are unsure of your car’s color, ask your dealer to tell you where to locate the color code on your car. • Squeeze a small amount of paint into the cap of the tube, then dip the point of a wooden toothpick into the paint. • Use the toothpick to slowly apply the paint to the chipped or scratched area of your car. • Refer to the directions of your touch-up paint to determine how long the paint needs to dry before you apply the clear coating. The clear coat is usually located at the other end of the touch-up paint tube. Polish areas of your car that contain minor, shallow scratches. This procedure will cover and hide any small scratches on your car’s surface. • Purchase a commercial car polishing product from an automotive retail store. • Apply a small amount of polish to the applicator included with the product and gently rub the affected area. You may want to test a small area first, just to familiarize yourself with the abrasiveness of the polish. • Check the scratched area to see if the scratch is still visible. If so, continue to gently polish until the scratch is no longer clearly visible. • Wash the affected areas with soap and water to remove the polish after the scratches have been repaired. • Apply car wax to the areas you have treated with polish to buff and shine the surface areas. 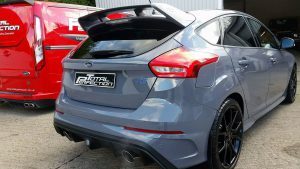 Thank you for reading this article by Total Perfection detailing specialists.